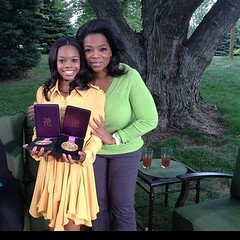 Gabby Douglas made history this summer when she won the Olympic gold medal in the individual all-around gymnastics competition: she was the first black athlete to accomplish that feat. But right after winning, commentary on Twitter and Facebook became unexpectedly fixated on her hair. The American media immediately followed suit, going all out on a blitz coverage of the phenomenon because, even more unexpectedly, at least for some, the hair criticism was coming from other black women.